Lock in a great price for Dreamboat Hostel – rated 9 by recent guests! Large kitchen, comfy bed and clean room, clean drinking water in the kitchen and reception, good location for food and shopping. The location was great. The staff were super friendly and welcoming. like top notch welcoming. The lounge bar area is a great place to meet Travellers and connect. Very social. Big thumbs up for congeniality. The hostel was fine. The dorm room I had was next/attached to the kitchen??? A bit weird. For this reason the bathroom vents/windows opened to the kitchen???? So it was a bit lack of privacy? Again weird. The kitchen itself was nice. Plenty of cookware etc. There was free coffee and filtered water. The dorm room itself was fine. No problems there. There was hot water in the shower although a new shower head is BADLY required. Water sprayed everywhere except on you? The location is fine. In the thick of places etc. The common lounge was roomy. The wifi was fine. Weird thing, one is not allowed to bring outside beer etc which is weird but I really don't drink so...but still let people drink at the hostel bar if they want but... They kindly held my bags for one day when I went to oanajachel overnjght. Overall, I was satisfied. So happy I chose this hostel. The employees were very welcoming and kind. I had a lot of questions regarding things to do around the town and getting to nearby villages, and they were very knowledgeable. Locations is perfect, right by the lake. Also, the beer is cheap! They respect quiet hours but also have late night options outside the hostel for people who want to go out. Overall a great experience. If I end up in Panajachel again I’ll be back. 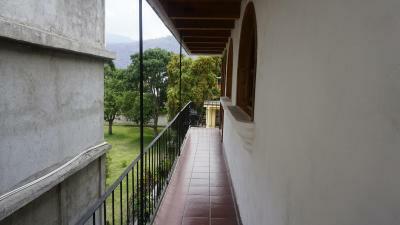 This is one of my favourite hostels in Guatemala. I had a fantastic stay once again. The owners and staff here really make you feel welcome. They also make a point to show guests around Panajachel, which is a great town. They always have activities going on that you can join. The hostel is new and clean. Good kitchen. The huge common area with bar and the terrace are great places to hang out. The location in the centre of town is perfect. Do yourself a favour and stay here! I'm sure I'll be back! Good atmosphere created by great staff! Everyone participated on their own terms, you could play drinking games with water or put on your headphones and watch a movie in the corner. Yes it gets noisy, but only until 10.30 when the party continues elsewhere. Nice showers, clean in general. Best possible location in town. The dinners for 30Q is a perfect option since you get great food and company and you don't even have to get out of the place grocery shopping or looking at menus. One of our best sellers in Panajachel! Featuring a terrace and free WiFi, Dreamboat Hostel is located in Panajachel. All rooms feature a kitchen and a shared bathroom. The property has a shared kitchen and a tour desk for guests. The rooms will provide guests with an oven. The nearest airport is La Aurora Airport, 70 miles from the property. 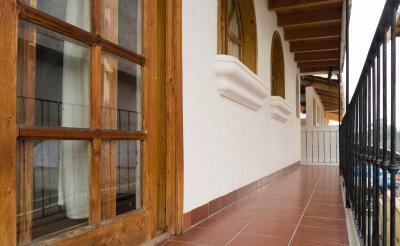 This property is also rated for the best value in Panajachel! Guests are getting more for their money when compared to other properties in this city. 뀐 Located in the top-rated area in Panajachel, this property has an excellent location score of 9.5! When would you like to stay at Dreamboat Hostel? House Rules Dreamboat Hostel takes special requests – add in the next step! Dreamboat Hostel accepts these cards and reserves the right to temporarily hold an amount prior to arrival. Little bit loud, it is near the Main Street. The toilets need more love. They could clean better. Very nice room and atmosphere. The terraz is amazing. Near everything and the staff is really helpful. Dogs barking at night, but that seems the norm. I was the one who was on the quiet side, the rest of the staff and guests were fabulous, always willing to help and have a good time with whoever. I could not have asked for a better reception by more decent folks. You get amazing value and quality people to boot. The place seems to be like a magnet for well intentioned and party hearty travellers. Friendly environment, chilled staff. Quite close to lake Atitlan shore. We had so much fun here and the owner is a legend. I am not a huge party person and the place was very loud in the evening (some event). However it was totally quiet at 10pm. During the day it is supercool to hang out in the hostels breezy chill-room. The staff (PABLO?) was super-nice and friendly! people would come back from partying at all hours of the night, and would have to ring a doorbell to be let in. often, drunken people would ring this doorbell 6 or 7 times instead of just once, at 3am which would wake me up every time. the people coming back late at night would turn on their music players to full blast at 3am in the room right beside us, and scream/laugh at full volume with no regard for everyone else who was trying to sleep. it would be nice if the people working there would ask people to be more courteous after midnight, and tell them to be quiet if they are being that noisy. 5 drunk people shouldn't be allowed to ruin the sleep of the other 20 guests that are trying to enjoy their vacations. 4 times in the same night they drunkenly pounded on our door thinking it was theirs and they were locked out, even though our room said PRIVATE ROOM in huge letters on the door, and theirs said DORM ROOM. the staff at dreamboat are some of the funniest and most welcoming people i’ve encountered at a hostel!!! it’s clean, comfy, conveniently located, and overall a great place. really tasty family dinner too!